Wegener was born in Berlin in 1880, the son of a clergyman who ran an orphanage. He was an energetic child who took long mountain hikes and learned Alpine skiing in order to better explore his world. He used kites and balloons to study the dynamics of the atmosphere, and in 1906 he and his brother Kurt broke the previous world record for long duration flight (52 hours) in a free balloon. A determined student with wide­ ranging curiosity, Wegener earned a Ph.D. in astronomy from the University of Berlin in 1905. Soon afterward, he made a two­ year expedition to Greenland as a qualified meteorologist to study polar air circulation and glaciers. Wegener discussed the apparent fit of continental margins of eastern Brazil and West Africa with fellow students as early as 1903. He was impressed by reports of corresponding geological formations in South America and Africa, but dismissed speculation that these areas may have been joined by a land bridge in paleohistory. Wegener was convinced that the Atlantic Ocean was not the result of sinking continental margins but of physical separation of one giant land mass, Pangaea, about 250 million years ago. He researched facts from many specialized areas of science before writing his first papers on continental displacement in 1912. Coal deposits in Antarctica, fossil corals on the Oregon coast, remains of fossil plants on the ice covered Arctic Ocean island of Spitsbergen, and glacial relicts in central Africa were some of the clues that Wegener used in declaring that the continents must move. His most famous work, The Origins of the Continents and Oceans, was first published in German in 1915 and in English in 1924. After another Greenland trek (1912­1913), Wegener married the daughter of one of his mentors, Wladimir Koppen, a leading meteorologist in Germany. Drafted into the infantry in 1914, Wegener served in World War I. After being wounded twice, he was assigned to the German Army’s weather­ forecasting service. When the war ended, he was hired as a lecturer in his father­in­law’s teaching position at the University and German Marine Observatory in Hamburg. But his unpopular ideas on mountain building (contradicting the prevalent “shrinking Earth” models) and on movement of continents kept him from advancing in his profession. Moving to Austria in 1924, Wegener became professor of meteorology and geophysics at the University of Graz. He went to Greenland again in 1929­1930. He was last seen alive on his fiftieth birthday, October 30, 1930, as he headed out on the ice toward a glaciological field station. More than any other scientist of his time, Alfred Wegener challenged the prevailing belief in a basically static, unchanging Earth. His ideas on continental drift would provide one of the basic tenets for geological study in the twentieth century. 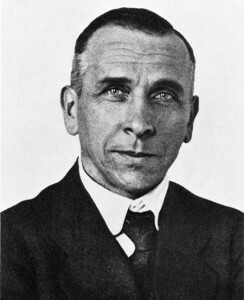 Wegener’s hypothesis was a threat to the mosaic of complicated explanations for surface features that geologists had developed over several generations. Wegener’s critics defended land bridges as explanations for fossil similarities in various parts of the world, they asked for a mechanism to push drifting masses across solid ocean floors, and they defended the permanency of such major features as entire continents. Further encouraging resistance to his ideas, Wegener could not prove that continents moved, given the limitations of 1920s technology. 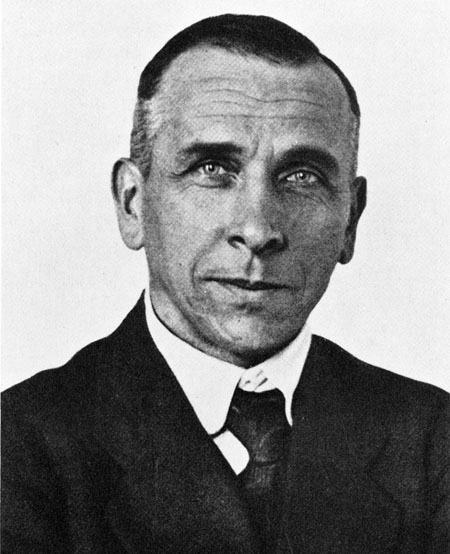 Even though Wegener died knowing that his ideas about continental drift were rejected by most of his peers, the strength and comprehensiveness of his ideas persisted. Geophysicists would elaborate and corroborate his ideas 30 years after Wegener disappeared on the Arctic ice. In 1959 HARRY HAMMOND HESS proposed an elaboration of Wegener’s theory of continental drift in his theory of plate tectonics, which described the outer layer of Earth as a set of plates moving across the top of Earth’s mantle. Plate tectonics later helped to explain the causes for earthquakes and volcanoes. Many contemporary scientists follow the legacy of his method, combining evidences from every area of physical and life sciences to continue to build a more complete history of the dynamic planet Earth.